“Well, I guess you can always teach.” If this is the response you get from friends and family when you talk about your chosen field of study as geography, this article is for you. Turn the facts back onto these naysayers and show how exciting, rewarding and well paying a career in the geography field can be. First thing to understand is the geography field covers a wide variety of positions that include technical mapping, urban planning, environmental science, research and theoretical modeling, public utilizes services, transportation administration, emergency management, and many others. Those studying geography often have cross training in a wide number of disciplines making these individuals uniquely skilled in a number of professional fields; for example, it is not uncommon that a GPS/GIS technician will be sent out into the field to work alongside archaeologists, geologist, hydrologists, biologists, and other similar positions. 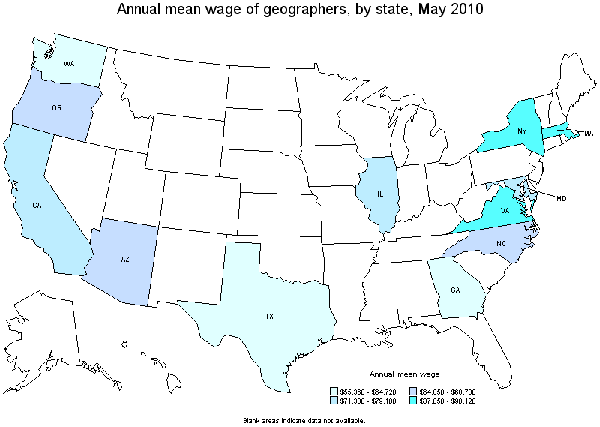 Annual mean wage of geographers by state (click on map for source link). Source: BLS, May 2010. Source for both tables: Bureau of Labor Statistics, Occupational Employment and Wages for Geographers, May 2010. Currently the primary employers for this subfield are federal government agencies, state and local governments, utility companies, and private companies contracting with these groups. However, an increasing number of private businesses are interested in geographers, most especially those with GIS and surveying skills, to assist with emergency planning, marketing, natural resource exploration (especially oil and gas development), security, construction, shipping tracking, and creation and maintenance of online interactive maps. Earning for those working in the cartography, GIS, and surveying fields earned a median annual wage of about $50,000 in May 2008 with the top ten percent earning more than $90,000. Urban and regional planning is another subdiscipline with the geography field that has very favorable job prospects with employment projected to grow 19%. Local governments employ the majority of planners as it is primarily the responsibility of these governments to develop long- and short-term plans for land use, urban growth, and revitalization of urban centers. Some planners have a specific concentration such as environmental conservation, business development, walkable community development, or optimal implementation of social services. The median annual income of urban and regional planners was $59,810 in May 2008 with the highest earnings from the architectural and engineering employers and the lowest wages at colleges and universities. 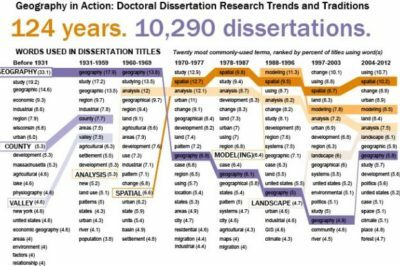 For those more interested in fieldwork rather than office work, geographers can also pursue careers in earth science geography and human geography. However, it is important to understand that office work can never be avoided and reports and findings must always be written into reports. In the field of earth science geography, careers can include geomorphology, climatology, forestry and conservation, hydrology, earthquake hazard areas, and even the study of glaciers. These jobs are relatively few and can be rather competitive to secure employment and often employers expect specialized training in more than one area; for example skills and knowledge in, earthquake hazards, geomorphology, and GIS can all be an expectation for one position. Advanced degrees, and in some cases certification, are also required, especially in those fields relating to public health and safety. Job growth in this subdiscipline is expected to similar to other career fields, that is, a growth of 12% between 2008 and 2018. Median wages in May 2008 for this type of career were $58,720 with higher wages being paid by employment with the federal government. Another interesting opportunity for fieldwork is in the field of human geography. Often classified by employers as part of the social science fields such as anthropology or sociology, many unique opportunities currently exist, especially for those with an interest in troubled areas around the globe. 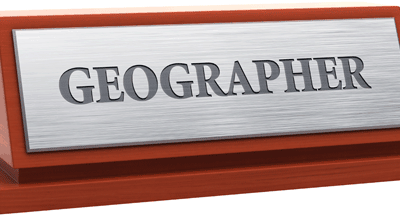 Most social science geographers are employed by the Federal Government, for the Department of State or the Department of Defense. AT the State Department, jobs may be specific to foreign policy, migration of refugees, or the spread of terrorism networks. An example of a successful geographer in this field is Bill Wood, the State Department’s deputy assistant secretary for intelligence and research; his work focuses on the understanding of ethnic migrations and the distribution of natural resources and how this relates to economic growth and foreign policy. Another opportunity to work directly with people in the field is the Human Terrain System (HTS) program of the Department of Defense and lead by the U.S. Army. This program is relatively new and was strongly advocated for by social science professionals to the highest levels of the Department of Defense as well as an identified need by the commanders in the field. Currently considered a proof of concept initiative, HTS provides professional social scientists (such as, anthropologists, human geographers, linguists, and others) to military commanders deployed oversees. The purpose of the program is to improve the understanding of the local population and ensure that cultural considerations are taken into account during the military decision making process. HTS employees are civilians working alongside active duty military personnel. They receive basic training and weapons qualification but are able to perform individual research as well as assist their military commanders and assigned units. Clearly, any number of exciting and rewarding – not to mention well paying – careers can be obtained through the study of geography. In addition, job prospects for the future are very favorable with only positive outlooks predicted for the future.